Congestion is a term that is applicable in a variety of disciplines which range from medical science to traffic engineering. It has also many uses in practical everyday life. This brings with it a certain looseness in usage. We therefore expand (and refine) our discussion of congestion with reference to its use in economics where we have access to a precise meaning which we can develop in this chapter. 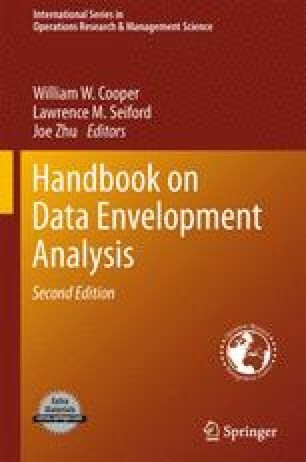 This chapter covers the standard approaches used for treating congestion in data envelopment analysis.